Since I’ve just recently moved into a new space I have got interior on my mind, and of course I have been browsing through 1st Dibs like a crazy person. I might not be able to purchase so much as one thing (the prices are maniac), but at least I can day dream a bit. 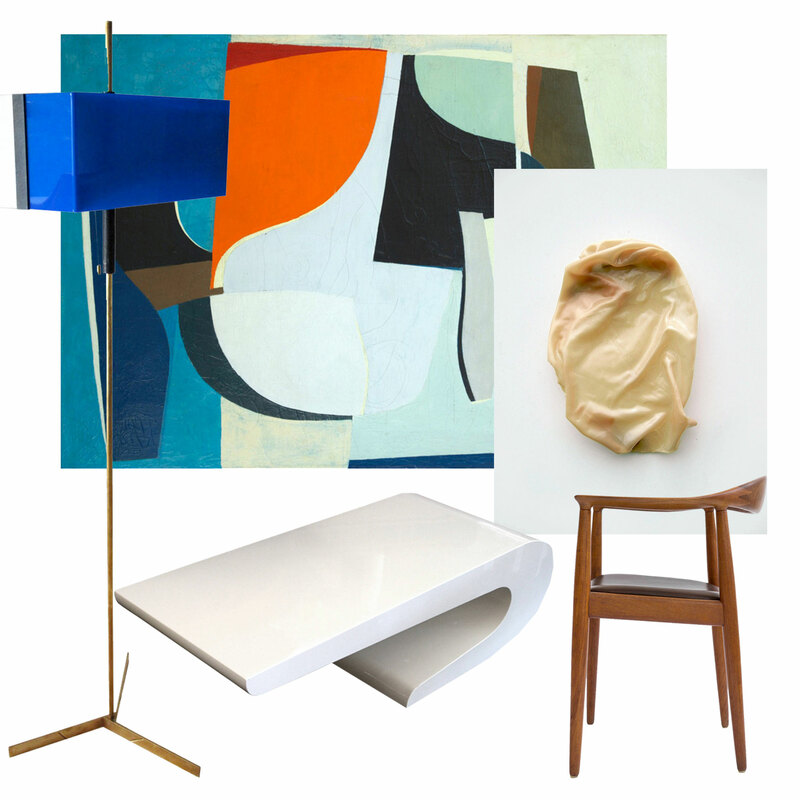 Pieces from; Ib Geertsen Composition 1951 oil painting, Julie Schenkenberg Shroud Four painting, Hans J Wegner wooden arm chair, marble table from Pierre Cardin (a table I used for a Sunday Treat on The Wall a while ago).